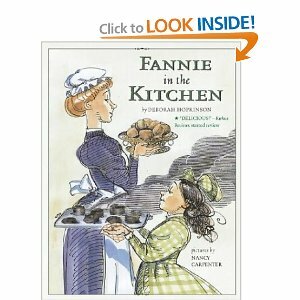 A picture book about Fannie Farmer and how she began her culinary teaching. She comes to work for the Shaw family. In the beginning, little Marcia Shaw does not appreciate Miss Farmer’s intrusion. However, after leaning the art of baking dainty biscuits, Marcia begins to grow fond of Fannie. It is a delightful read that had all my children’s attention. (OK, the one year wasn’t really captivated.) 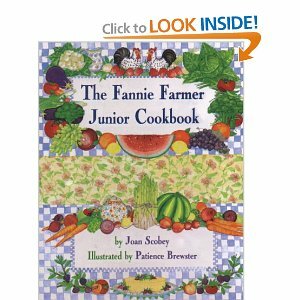 Sprinkled throughout the book are little tips from Fannie’s cookbook. Lydia was happy to point out each one so I wouldn’t miss it. Fannie in the Kitchen is a great read for your little culinary artists in training.